THE only way Nigerian politics can be cleansed and developed is when its ugly sides are revealed and those who adulterate it are exposed and punished. Very often, that exposure is done in a dog-eat-dog manner. That was what former Foreign Affairs Minister and, until recently, a chieftain of the All Progressives Congress (APC), Chief Tom Ikimi, did in a statement announcing his resignation from the party. Call him a turncoat, renegade or whatever you like, Ikimi's statement about the APC and its National Leader, Senator Ahmed Bola Tinubu, confirms the conventional saying that the truth will always surface, no matter how long it is suppressed. Ikimi's resignation is, no doubt, one of the worst disasters suffered by the APC since its emergence in February, 2013, as a conglomerate of parties with disparate and uncoordinated mandates. Ikimi was one of the key personalities that fashioned out the vision, mission and structure of the new party. He was passionate in joining other leaders of the party in announcing to Nigerians the dawn of a new political era. The APC celebrated the merger with so much hype and fanfare that some of its members started to feel that the party had already taken over power from the Peoples Democratic Party (PDP) at the federal level. It was an illusion or what psychologists call collective self-delusion which almost beclouded every sense of reality. That false impression was strengthened by certain political events: the defection to the APC of five aggrieved PDP governors and 37 members of the House of Representatives and threat by 12 senators to follow suit. Overnight, the Opposition thought that it had dislodged the ruling party so much so that the House Minority Leader, Femi Gbajabiamila, referred to the Deputy Majority counterpart, Leo Ogor of the PDP, as Deputy Minority Leader. Read Ikimi's statement very well and what you find is a long list of political lapses, heaps of filth and deception, lying beneath the outward glamour of the APC. Nearly all the scandalous ills of the party, according to him, are manifested in the person of its self-acclaimed National Leader, Asiwaju Bola Tinubu. Ikimi's reason for leaving the APC was that he could no longer remain in a party that operates under the veil of illusion, and where internal democracy is non-existent. To demonstrate the lack of internal democracy within the APC and Tinubu's domineering influence and authoritarian tendencies, Ikimi cites the imposition of weak leadership on the party at various times. These were the tendencies that led to the exit from the Party of notable Northern politicians such as former Governors Ibrahim Shekarau, Attahiru Bafarawa, former military Governor of Lagos and Borno States, Brig-Gen. Buba Marwa (rtd.) and many others. Ikimi's objection to the Leadership style of Tinubu is mainly against his tendency to behave as if the ownership of the APC belongs to him, thereby treating all other members as mere joiners. Ikimi is absolutely right. Contrast this with the PDP where no single individual is seen as the founder or owner of the party and where internal democracy is practised, as amply demonstrated recently in the jostling for the party's gubernatorial ticket and screening for the primaries in Adamawa State. The Acting Governor of the State, Alhaji Ahmadu Umar Fintiri, who was disqualified by the party's Screening Panel, headed by former Deputy Senate President, Ibrahim Mantu, subsequently got clearance as an aspirant from the Appeal's Panel, headed by Senator James Manager. Such is the beauty of democracy! One of Tinubu's illusions, which according to Ikimi, has become an obsession, is his arrogant claim that he is in control of Southwest votes and that a combination of the votes from that Zone and those of the North-West would be sufficient for the APC to win the Presidential election in 2015. For donating votes from the Southwest, Tinubu thinks that he deserves a position in a Muslim-Muslim Presidential and Vice-Presidential ticket. His calculation is based on yet another arrogant belief that he could manipulate the governors under the party as well as prominent Northern politicians such as Muhammadu Buhari, Atiku Abubakar and others, to take over total control of the party structure. From Ikimi's statement, Tinubu is a master of intrigues and a serial manipulator who, in a cult-like manner, secretly plots "the affairs of the APC from his private parlour in the Asokoro District of Abuja." The truth, according to Ikimi, is that his so-called status of National Leader of the party is a "fictitious throne" because he was never really elected or chosen by the party to occupy that position. Proclaiming himself National Leader, we are told, was one of his manipulations, just like he did for the position of National Chairman, which he wanted for his kinsman, Bisi Akande, but had to settle for the second choice of John Odigie-Oyegun, whom he also has in his pocket. 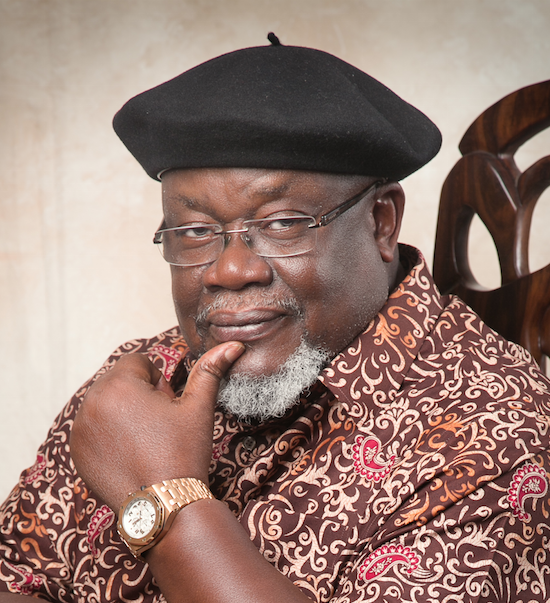 In all, Ikimi's statement is a catalogue of assorted acts of intrigue, manoeuvre and deceit by one man, for nothing but power. The consequence is that the fortunes of the APC have been plummeting, with the party witnessing an unending gale of defections to the PDP. More disastrously, even the States currently under APC control are now being threatened. The ugly situation in the APC has existed for so long because the party lacks internal democracy. And it lacks internal democracy because there are not many members with the courage of Tom Ikimi to speak out. Also, in a culture of poverty such as ours, the lure of money or any other material offer is difficult to resist. Yes, there are Nigerians able to say "to hell with Tinubu's massive wealth", but for many, "money has no colour", and they are prepared to play ball, even when induced by the devil. Ikimi must be regretting his error in falling prey to Tinubu's trap. It, certainly, wasn't for any material gains because he, too, is a man of means, although maybe not at the same level as Tinubu. The former Minister must also be regretting for not acting much earlier. Again, it is better late than never. The message in Ikimi's statement is that even in politics, integrity matters. A party that claims to be the alternative to the Government of the day cannot afford to be led by people bereft of honour and integrity. Well done, Chief Tom Ikimi! John Ainofenokhai, a public affairs analyst, wrote from Benin City, Edo State.